Download x360ce and VJoy from the links provided below. 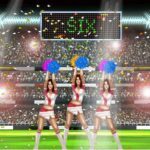 You will need these two applications to Map your Keyboard to the Game. Extract VJoy from the archive and then run the ‘VJoySetup.exe”. Now, extract all the files from the x360 archive to a folder. 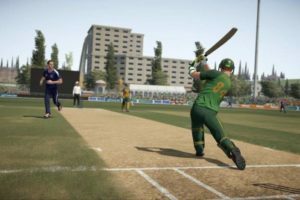 Copy all the files from “x360ce_Don Bradman Cricket 14” folder and paste it to your Don Bradman Cricket 14 Installation directory. 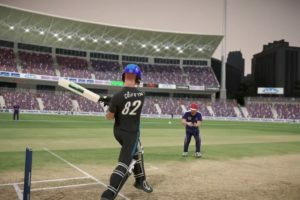 For ex, C:\Program Files (x86)\Don Bradman Cricket 14. Now, run VJoy and then click on “Open INI“. Now, select “cricket14.ini” from the VJoy Folder (the folder where you initially extracted the Vjoy Setup Files. 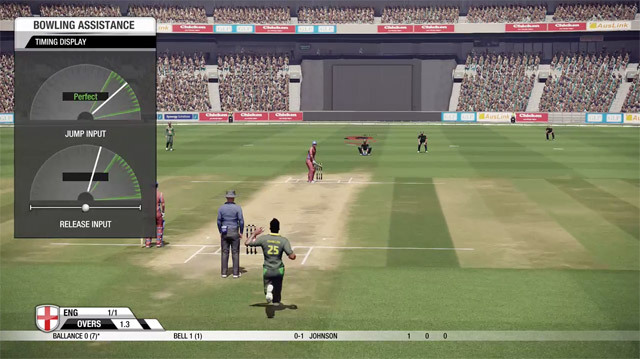 Go to your Don Bradman Cricket 14 Installation folder and then open “XinputTest.exe“. It will show the status as Connected. If it doesn’t show “Connected” then you may be doing something wrong and hence verify the above steps. Now, minimize the current window (Don’t close the window). Now open “x360ce.exe” from the same folder and then minimize the window and you can start playing your game. 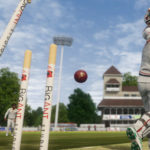 If it is showing “Not connected” in XInput Test, copy go to C:\Windows\System32 and copy “dinput8.dll” from that folder and paste it to the Don Bradman Cricket 14 directory, where you’ve installed x360. Replace the file with the copied file. NOTE: You can change control mapping from VJoy but the current settings are recommended. If you are still facing issues in playing with Keyboard, kindly post in the comments below. System.IO.FileNotFoundException: Could not load file or assembly ‘Microsoft.DirectX.DirectInput, Version=1.0.2902.0, Culture=neutral, PublicKeyToken=31bf3856ad364e35’ or one of its dependencies. The system cannot find the file specified. It still shows not connected in XinputTest.exe ……………What should i do …? when i run xinput test it shows..
unable to load dll ‘xinput1_3.dll’ : the specified module could not be found. unable to load dll ‘xinput1_3.dll’:the specified module could not be found. for those who cannot connect to Xinput.exe , try installing visual c++ 2012 redist and then uninstall vjoy.exe and remove all the files of x360 from your game folder and do the process all over again. 4. click “open.ini” and navigate to your folder where you have extracted “vjoy.zip” or from where you have opened the setup of vjoy. Hey Kailash same is happening with me. Have u found any solution for this? Hey Kailash, same happening with me. Have u found its solution? after opening the game it is showing” lost connection to controller 1″… plzz help me with this. i want to use pc keyboard now. but if later i switch to joystick, will it cause any problem to me. any problem to joystick driver etc.? I followed the same steps. Vjoy works fine. Xinputtest Showing connected. X360ce works fine but when started the game the keys don’t work at all. Use “monect pc remote” app & turn your smartphone into gamepad. I used it & worked great for me. Easy to use. Can you please give me keys for playing game please? completed all steps without any error but in game i cant controls my player …it only runs after pressing A button and on pressing Z paused menu opens …..help asap……. i am getting ‘ not connected problem’ plz tell me how to fix it. 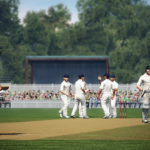 i dont have a gamepad still can i play don bradman?????????????? i dont have a gamepad but i did everything above given bt still not working????????? 2. Install dot net 3.5 from features installation. All saying its not connected. . .
What should we do? ? thanks ! it’s great ! but need to know how can i catch a ball !?? there you find the proper instruction!!! When i open x360ce.exe it was error .it s net framework initialization error . What should i do?? Plz help me.when i open x360ce some error come.it is ” to run this application, you must install one of the following version of the .NET Framework v 4.0.30319. But when i install net framework it blocked issues. Monect Portable Is Very Good Tool. Every thing is file status also shows connected but when i start the match it shows lost connection to controller 1.Reconnect the controller to continue. What to do. x360 is misconfigured or device is disconnected ..
System.UnauthorizedAccessException: Access to the path ‘C:\Program Files (x86)\DBC14\x360ce.tmp’ is denied. I am not able to start a match. It say press A to continue . What key to press for that can u please say me . It shows not connected always i verified all the steps also. unable to start the match. it is asking to press A. Which key i need to press? the A is not working. i want to play this game badly. How to swing ball . like offcutter . How to swing ball like offcutter ?? Connected but no movement inside game. the controller issue is solved but after opening the game no keys are working . i am pressing a, s, d, z, x and arrow keys as well but no response.